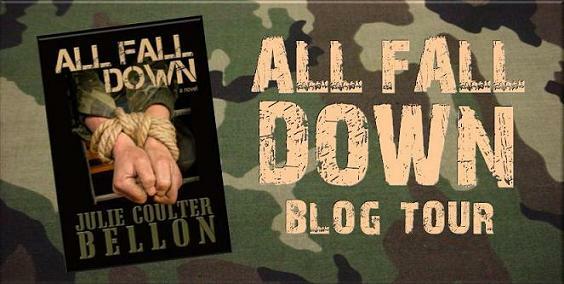 Welcome to the All Fall Down Blog Tour, hosted by Lexie at The Book Bug. Make sure to visit the other tour stops for more reviews and author interviews! And don't miss the awesome giveaway in this post. All Fall Down drew me in with the first sentence. The hostages, bombs, government secrets, terrorists, and romance made for a great book. I did find my attention waning a little bit near the end, but I can't put my finger on a reason. It may have been external distractions in my life. But, even with that, I really enjoyed this action packed adventure. Claire and Rafe were a good team. Their occupations are both so exciting. I liked that neither seemed power-hungry. They were in their jobs for noble reasons, and wanted to right the wrongs before them. I also really liked the length. At just over 200 pages, it wasn't too short or too long. Everything was wrapped up well and I didn't feel slided for not having more, or frustrated that it went on too much. It was just right! It also kept me company while I was waiting in line to vote. You can read the first chapter of All Fall Down here. Julie Coulter Bellon is the author of seven international romantic suspense novels. She loves her work partly because she gets to travel to distant lands to research and add an authentic feel to all of her books. Her favorite cities so far are Athens, Paris, Ottawa, and London. She taught journalism at BYU for fourteen years and that kept her on the cutting edge of current events and world news---which is where she gets her story ideas. 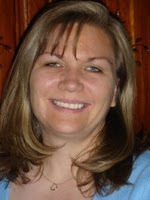 Julie offers writing and publishing tips as well as her take on life on her blog. To enter to win these prizes, simply fill out the Rafflecopter form. *Open from November 12 to December 7. Thanks so much for posting Andrea!